On a drive towards the centre of the province, we found the property below to exemplify what happens to the surrounding vegetation when home sites are abandoned. Street View, Google Earth gives a glimpse of the property back in 2009.
lifts spent and skeletal blooms. the house fallen to decay. 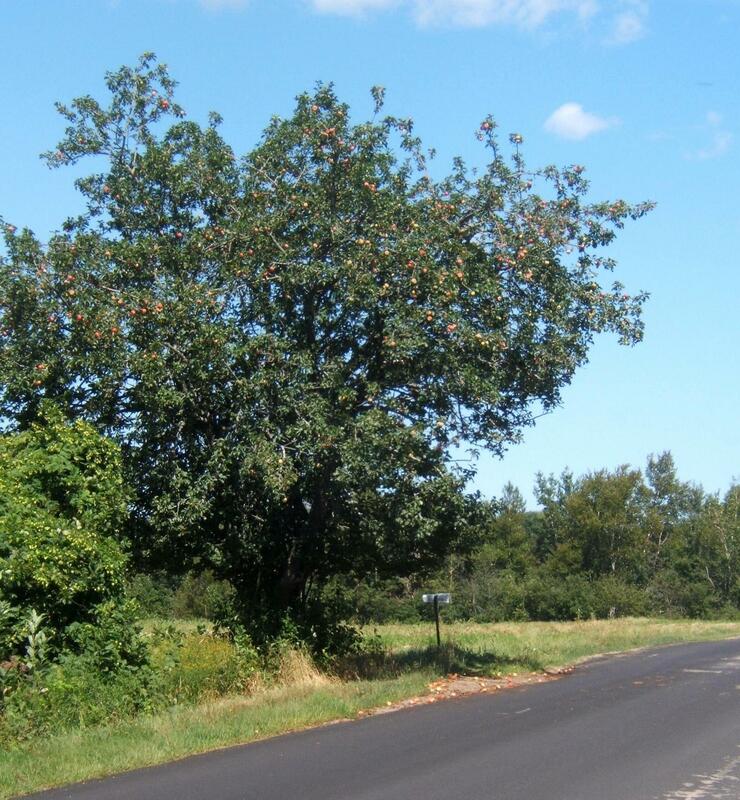 This time of year, I watch for the old apple trees along the road. 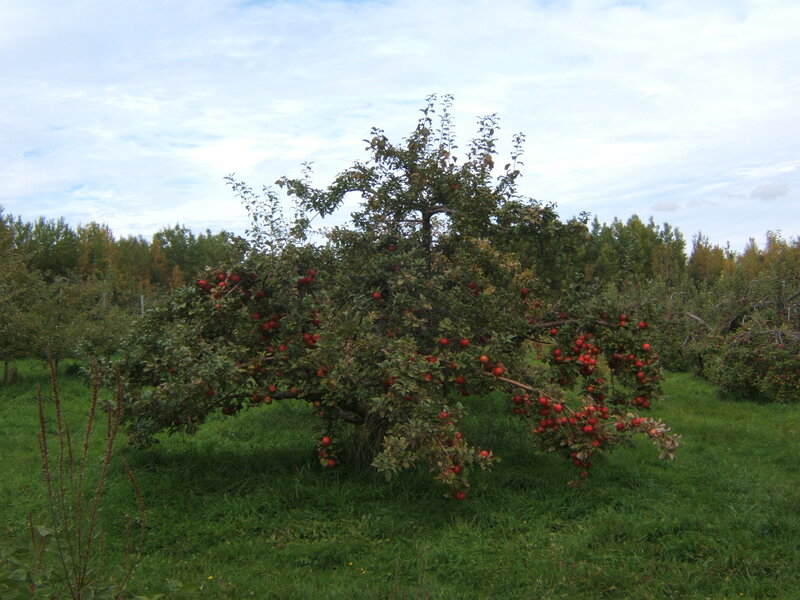 Most are neglected, and the fruit remains unpicked, even for cider. 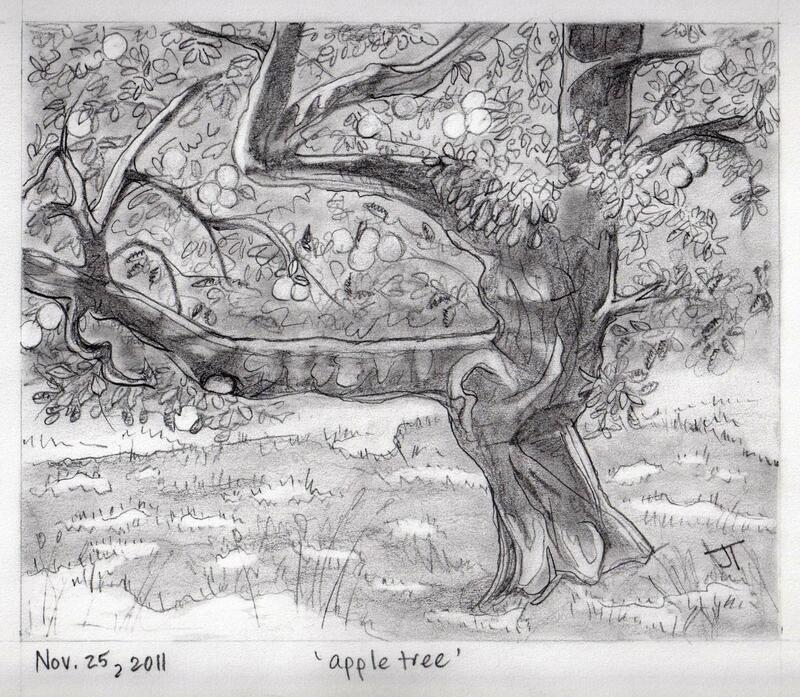 When the apples fall, they lie beneath the tree in a circle of red or yellow, mimicking the shadow of the tree at noon. 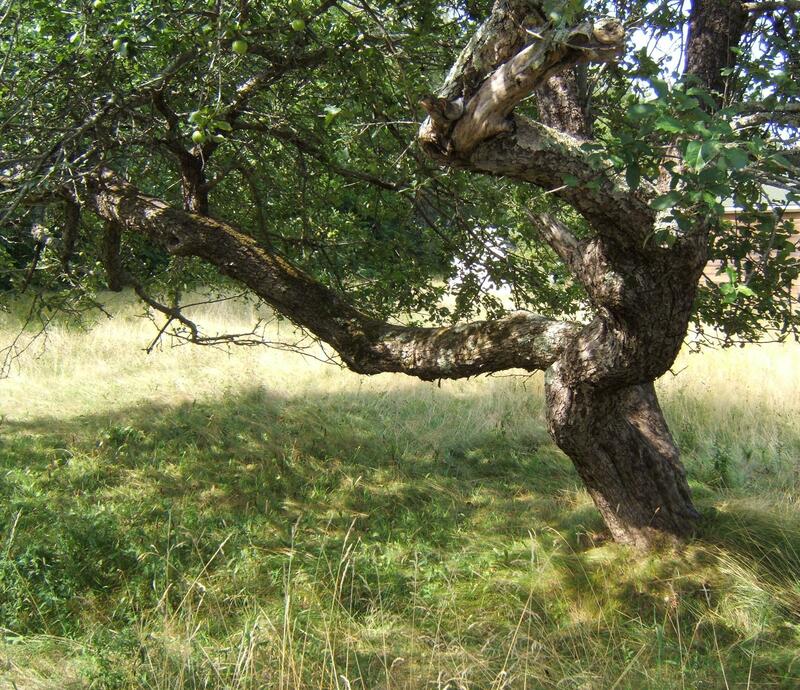 How many hours did I read in the apple tree in my grandfather’s orchard? At least a couple of hours every day were spent lost in a book. I was ten or so and my reading was relatively simple – Nancy Drew, Anne of Green Gables, Blue Castle, animal stories by Thorton W. Burgess , and books about a young adventurer named Madge Morton. Most of these were books my Mom had given me, and a few were borrowed from my aunt’s summer house. 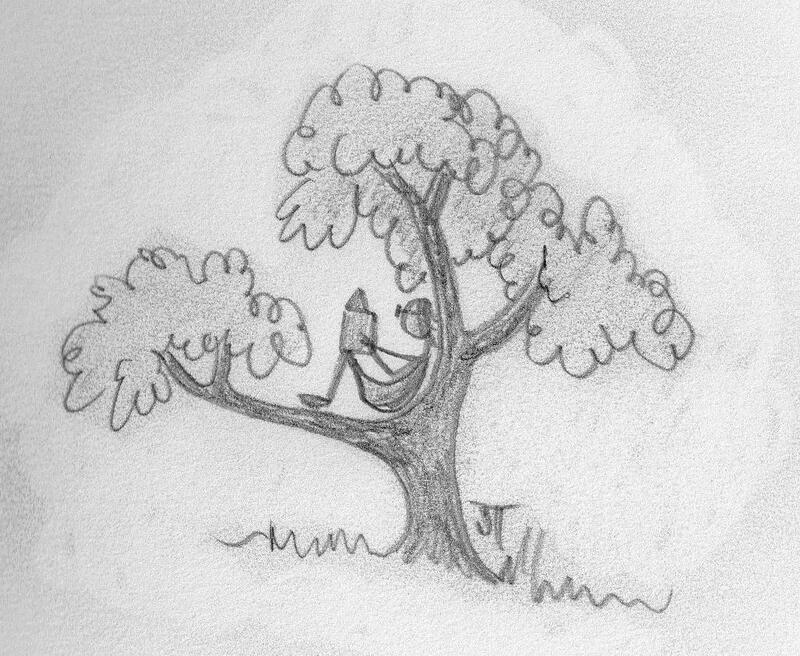 Have a look at ‘books about natural spaces’ to see some of my favorites. Are you old enough to remember some of them? The search for a comfortable place to read has often eluded me. Today I read at my desk or in the car. Anything more soothing and I fall asleep, in spite of the quality of the read.